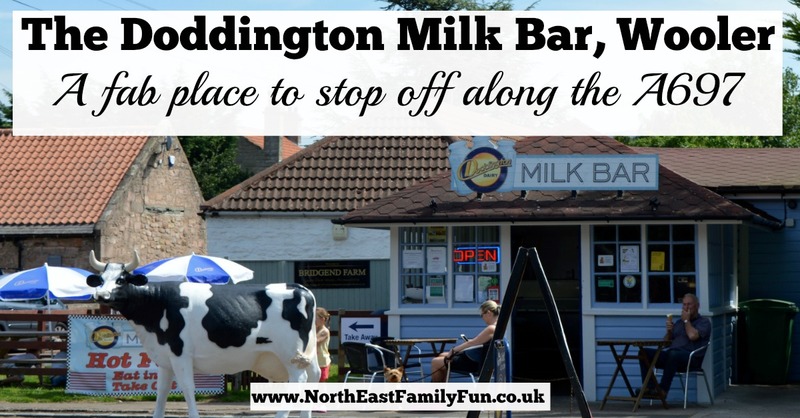 The Doddington Milk Bar is just the cutest place to stop off if you are travelling around North Northumberland (especially along the A696 - it is literally by the side of the road before you pass the bridge into Wooler). We paid them a visit during our recent stay at Riverside Park. The Milk Bar is right on your doorstep if you are staying here. The Milk Bar is small but perfectly formed. There is a car park next door and parking directly outside for bikes and motorbikes. The interior is reminiscent of a 1950's diner with booths and seats at a bar. There are picnic tables and smaller bistro tables outside too. 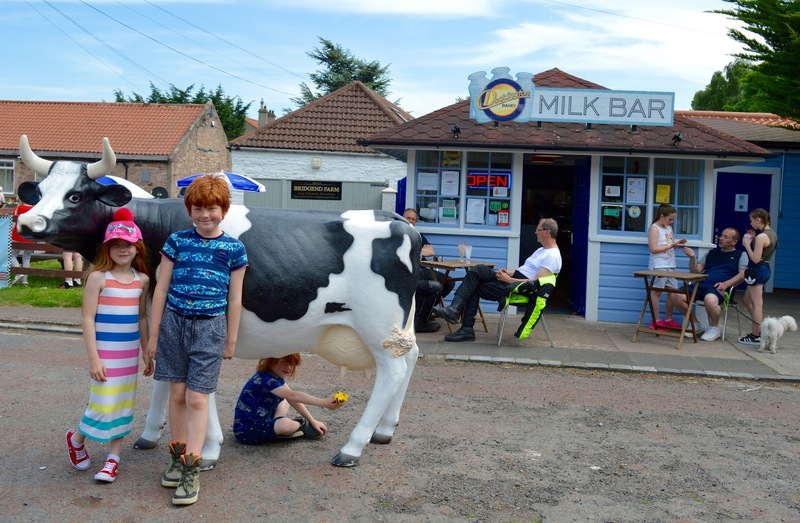 The main reason for our visit was to sample some famous Doddington Dairy Ice Cream but there were plenty of other snacks and drinks on offer too. 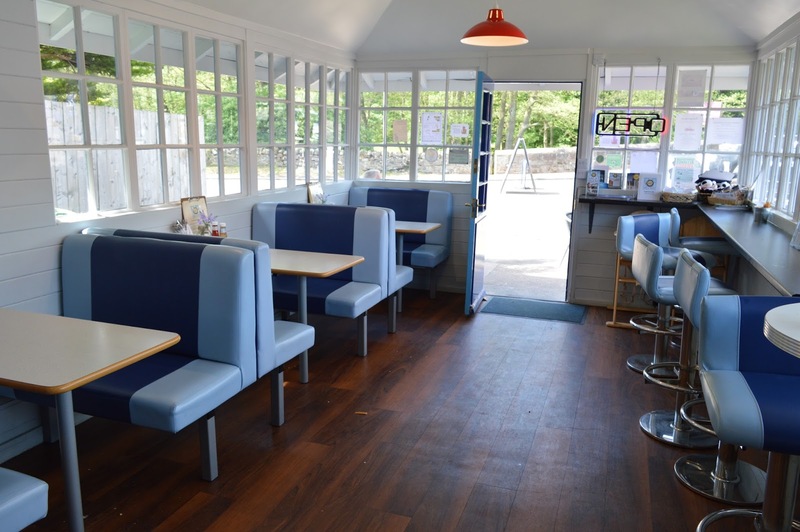 The Milk Bar is open from 7am and serves breakfasts, light lunches, a variety of homemade cakes and scones, soups and smoothies alongside Pumphrey's coffee, various ice creams and milkshakes. There's also a small local cheese counter which took a lot for us to resist! 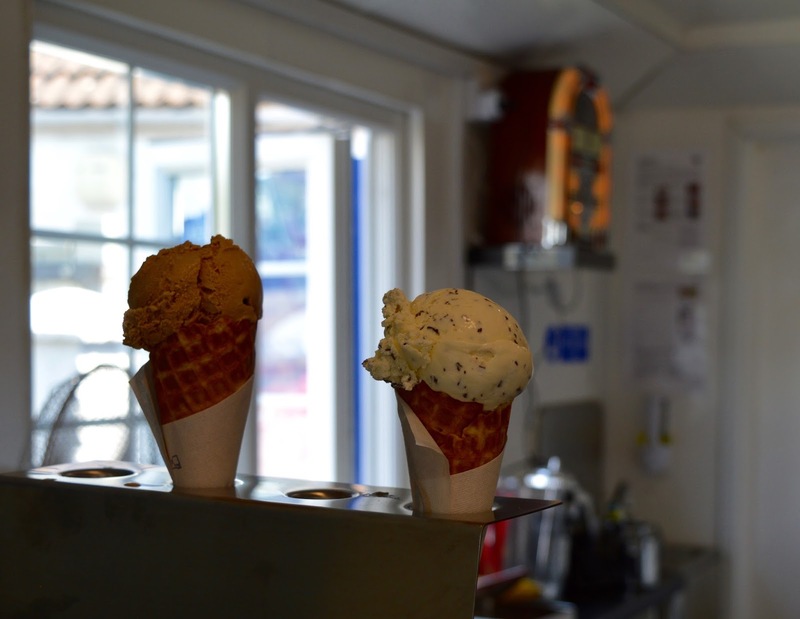 There were about 10 different ice cream varieties to choose from with a variety of cones, sizes and tubs on offer too. 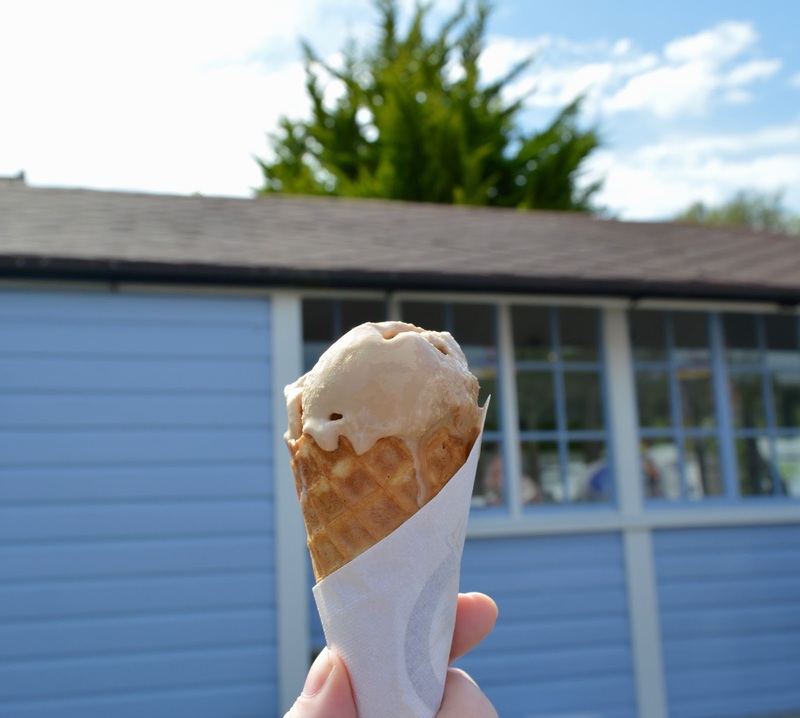 I spied the salted caramel which is my all-time favourite and this one was perfect. Steve ordered the dark chocolate and mint which he thoroughly enjoyed whereas Heidi went with plain chocolate. We really enjoyed them sitting out in the sunshine. 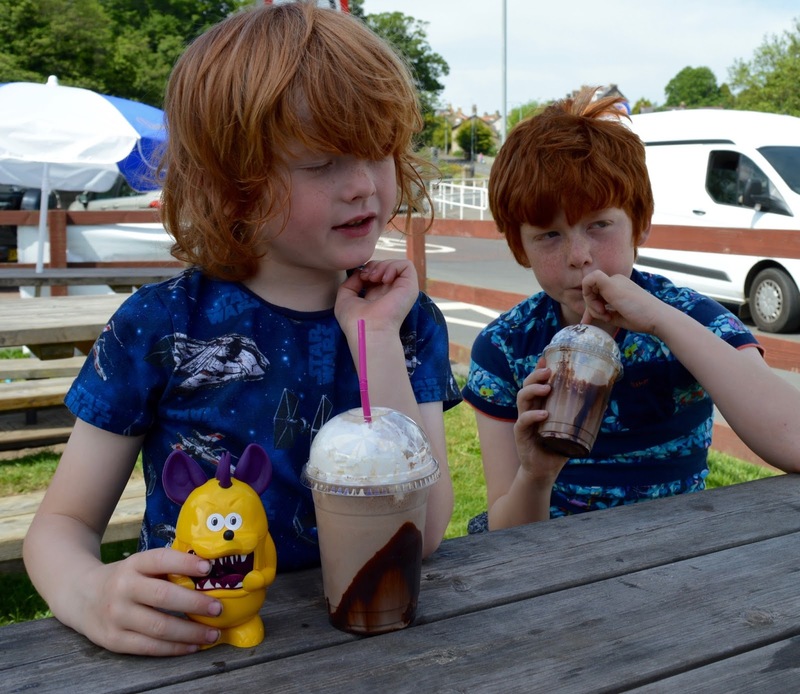 The boys fancied milkshakes which were freshly made using Doddington ice cream and served in takeaway cups with a lid (much appreciated) and lots of chocolate sauce and cream. They didn't last long at all. Our total bill for 3 ice creams and 2 milkshakes was £11 which we found to be excellent value for money. The Milk Bar definitely lived up to my expectation and we'd 100% recommend you pop in if you're in the area or passing by. Let me know if you've ever paid The Milk Bar a visit. Follow The Milk Bar on Facebook here. Oooh another one for us to try! They look delicious and I love the cow! I've followed the Milk Bar on Twitter for a while and have meaning to go. I didn't know they did food as well as ice cream. 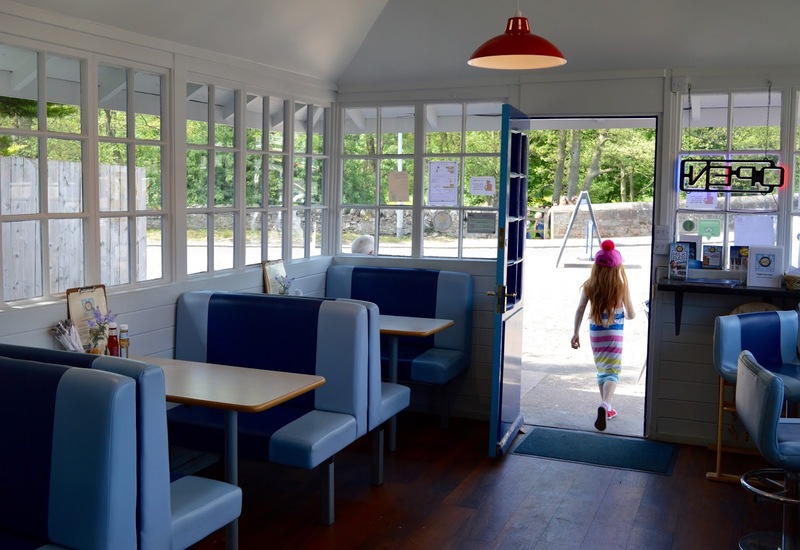 Usually when we're in Northumberland we head to Mowick ice cream parlour but we'll have to try here instead next time, the milkshakes look good too! Oh wow this place looks so cool! I wish there was something like this close to me. What a canny little place! we passed it when I went up to Kirknewton with the brownies a few weeks ago. I have a great childhood memory of staying in a caravan in wooler with my grandparents when i was a kid. It was VE day so all the shops had union jacks hanging from them. dead cute!